The ingredients must have come to me in my sleep. 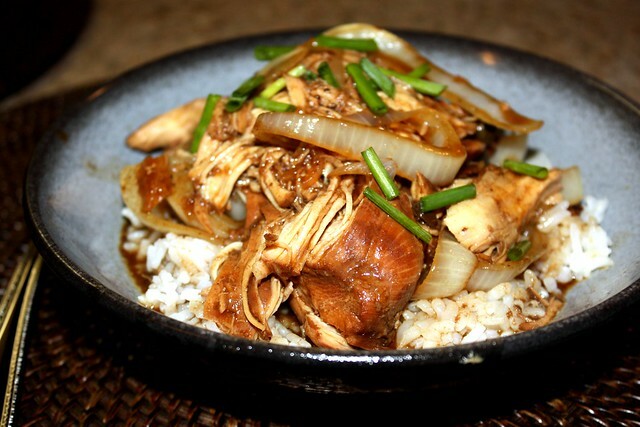 The more I use my slow cooker, the more I love it. 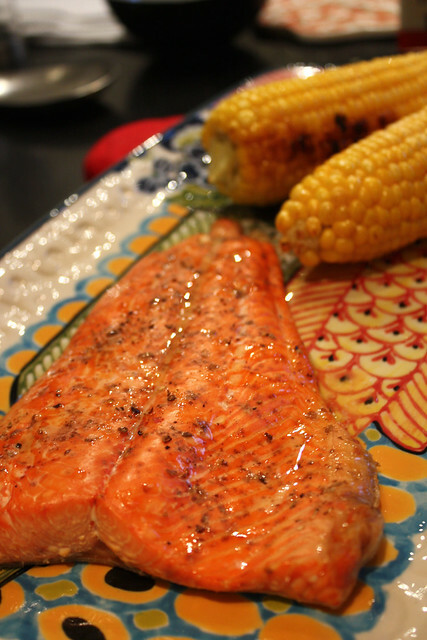 This salmon is so delicious on it's own. I decided to cedar plank the salmon on the grill, and drizzle it with some cayenne lime butter. After having a bite of the Chipotle Chicken Tacos my coworker brought for lunch a couple of weeks ago, this was my dinner two days later. If you know me you know I am a sucker for avocado and chipotle. 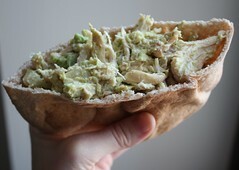 I used a rotisserie chicken so it's super easy to make. I'm a big fan of savory muffins. These are pretty much mini omelettes in a cup. They are perfect for weekend brunch, and even better to make ahead for the week and then pop them in the microwave. You all have probably been wondering what I've been doing other than eating Brussels Sprouts and Strawberries. Well I've been busy showering, nope, I'm not talking about personal hygiene here, but we hosted a Jack and Jill Pig Roast Wedding Shower for our friends and then my friend threw me a 'Ready to Pop' themed baby shower. After a couple of food recipes for you all, I'll have posts on those, because they were pretty darn fun...and maybe I'll even have a baby in between. And by the way, Strawberries may be out, Peaches and Rainier Cherries are hitting the spot these days. The Peaches coming from Central California right now are so juicy and sweet, I can't get enough. Needless to say, this Peach and Tomato Salad has been showing up at our dinner table a lot lately. Now on to the good stuff...mac and cheese! 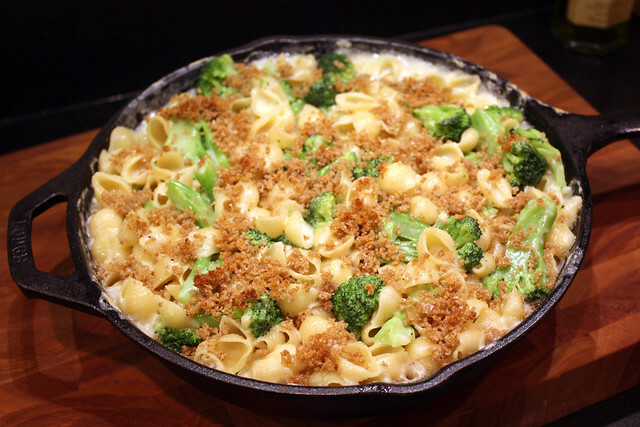 You all know I love my macaroni and cheese (see evidence here, here, here and here). So when I saw this easy, creamy stove top version over at Spoon, Fork, Bacon, I knew I had to try it. I mean an entire block of Brie and Camembert were involved! And then I made it a health food by adding broccoli. That counts, right? I would go on further, but Mr. KMW is holding off on scooping me up some ice cream until this post is finished. So I got to go get some ice cream...with peaches on top, of course! I hope you all had a nice weekend. We had an action packed weekend of fun and sunshine here in Seattle. While Mr. KMW did some yard work, I worked on a DIY project for the nursery...trust me, it was an easy one, I am probably the least crafty person you know....I'll blog about it once it's finished. 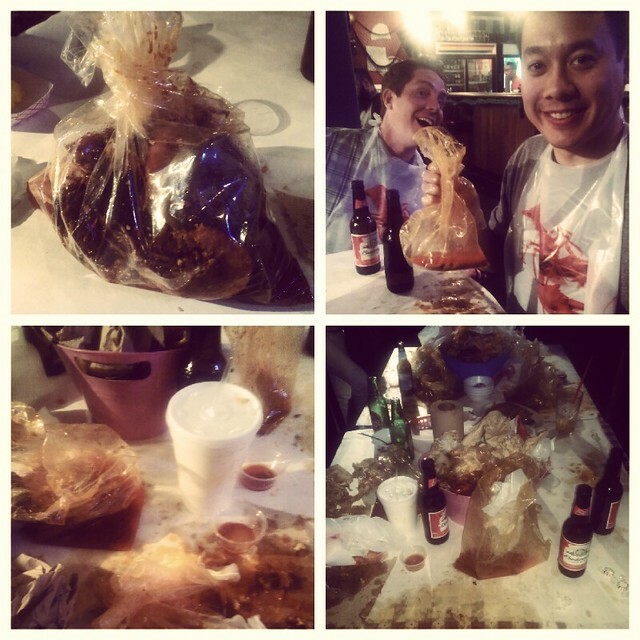 We then had an epic dinner of at the Crawfish House, getting messy, while eating pounds and pounds of seafood. And then burned off all (well some) of that butter bowling. 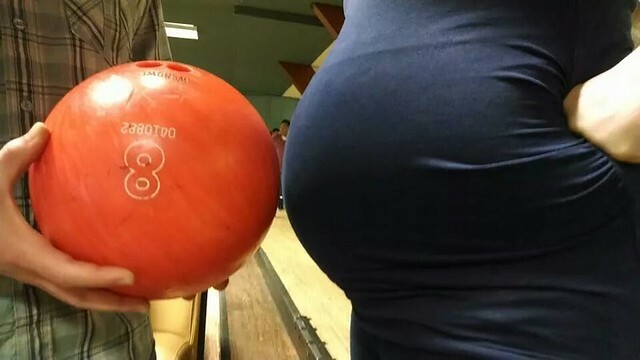 Although, Mr. KMW was a little nervous they were going to think I was smuggling a ball out of the bowing alley. 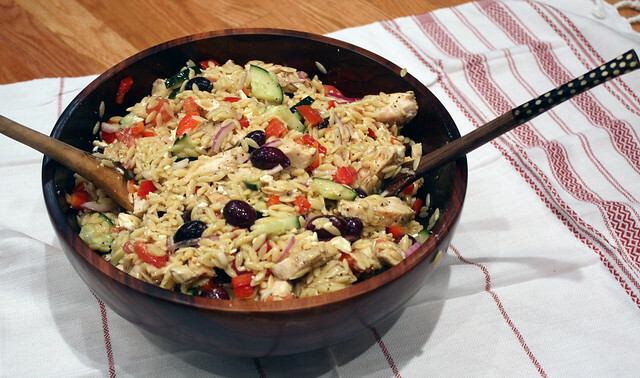 You may look at this vat of Greek Orzo Salad and think that it is way too much food for two people. 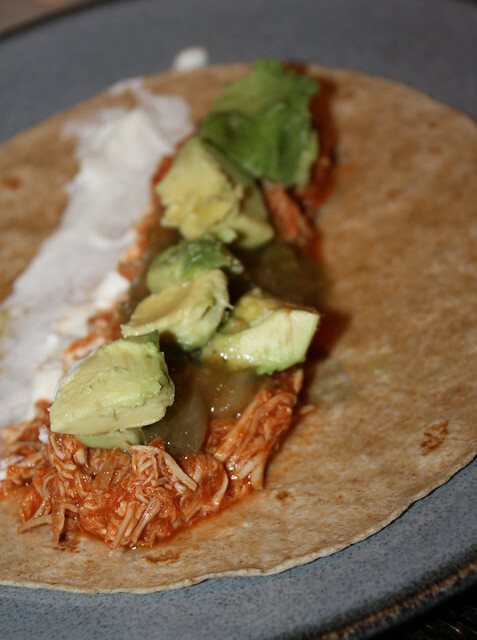 I did make a ton, but it was refreshing and flavorful so Mr. KMW and I were happy having it for dinner one night, and for lunch everyday during the week. 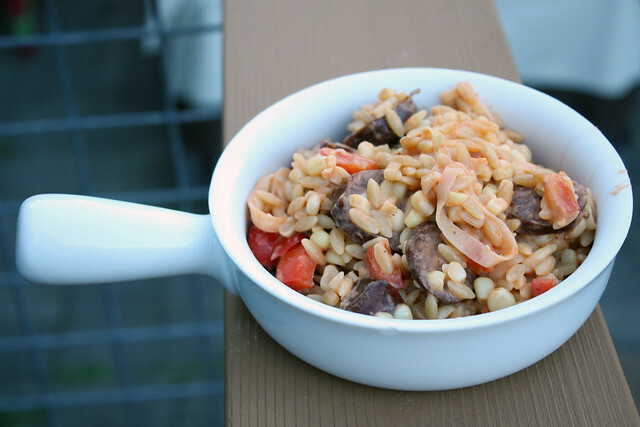 I will be happy to make this again for dinner, make it ahead for a week of lunches or it will be great for BBQ's this summer. As I mentioned a couple of weeks ago, I had a serious case of Spring fever and this was part of that. I went with my latest go to seasoning for the chicken, lemon and black pepper, and then let the flavors of the Greek ingredients take it home from there. Did I mention it's super easy? All of this goodness for so little effort...that's my kind of cooking! Now it's your turn, get a jump on Spring with this salad. I hope you all are having the nice weather we are enjoying in Seattle this weekend. This pasta hit the spot. Mr. KMW declared it was one of his favorite pastas that I have ever made. Although, he seems to do that a lot when I make pasta...with the Spicy Pork Ragu, Penne Vodka with Salmon, Linguine with Clams, Butternut Squash Pasta Bake, Pasta with Pancetta with Leeks...really the list could go on. 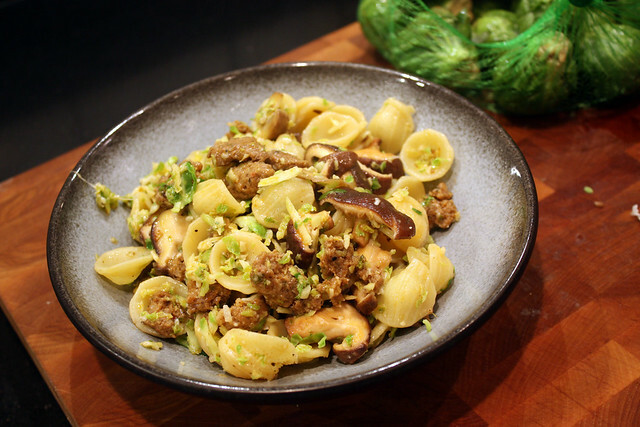 The brussels sprouts, chorizo and mushrooms not only complemented each other in flavor, but the textures really blended well together. And having brussels sprouts just make a dish feel healthier in general...despite the amount of oil used. I found this recipe over at Playin With My Food, I made a few minor changes and added chorizo, because I love it. This recipe was such a hit in our house, I'll definitely be keeping up with Playing With My Food to find recipe inspiration in the future. So there are weeks when I go to the grocery store approximately 152 times a week and times when I don't go for a couple of weeks. This meal was a result of not going to the store for over a week, and using up what I had on hand in the pantry and fridge. I love these meals, especially when they result in a meal that I cannot stop shoveling into my mouth. If the ingredients look familiar, this was the same week I cleaned out my fridge with Chorizo Fried Rice, which was also pretty darn delicious. My weeks just turn out better when chorizo is incorporated into 75% of my meals. This work is licensed under a Creative Commons License. We use Google Analytics and AdWords to help us measure how our readers interact with this site. Google Analytics Demographics and Interest Reporting is enabled in our tracking cookie. We recommend reviewing your personal opt-in and opt-out preferences at https://www.google.com/settings/ads if you'd like to limit the information Google is collecting about you.